Offering excellent cooling power from a compact unit, the Fridgemaster MUL49102 under counter fridge helps you to save valuable floor space. Ideal to be tucked away, this fridge can hold as much as a weekly shop, all within easy reach. Spread your items over the two adjustable glass shelves and easily separate your raw, cooked and fresh items to avoid any cross-contamination. Three door balconies are ideal for delicate items such as eggs to bigger bottles. The salad crisper provides the perfect conditions to keep your fruit and veg crisp and fresh, ready to be used. 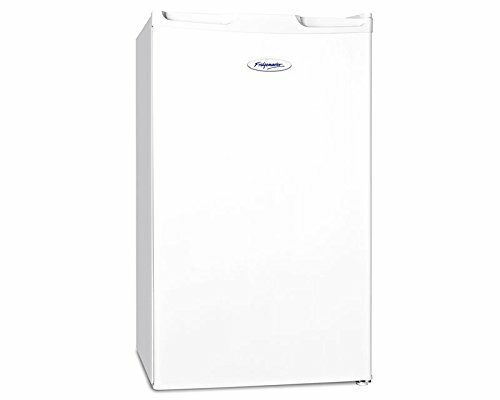 This Fridgemaster works brilliantly for longer thanks to its auto-defrost feature which prevents the build-up of ice. With a reversible door and integrated handles, this fridge is suitable for any kitchen layout. Adjustable feet make it easy to adjust the height of your fridge to suit your cupboards and counter tops. Both processes are quick and easy. Adding cooling convenience to your kitchen without occupying valuable floor space, the Fridgemaster MUL49102 under counter fridge is the perfect addition to any kitchen. Rated A+ for energy efficiency, you can enjoy brilliant and spacious cooling power without building up expensive energy bills. 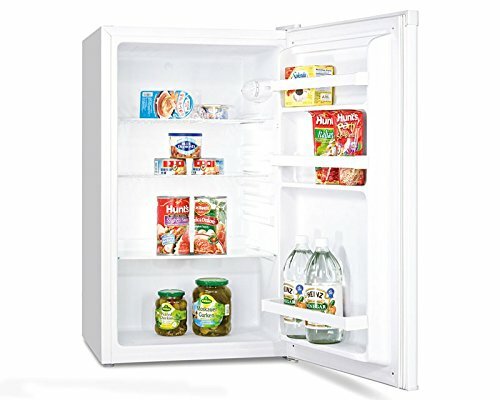 The Fridgemaster MUL49102 offers plenty of space for all your essentials and more. Use it as your sole fridge, or as extra space alongside your main fridge freezer. Spread over two adjustable glass shelves, you have the ability to separate cooked, raw and fresh items to avoid any contamination between your products. Three door balconies are ideal for bigger items such as bottles of milk or pop, stopping them from rolling around on your shelf. The other door balconies are perfect for smaller items such as eggs, butter or jars. A single salad crisper provides the optimum environment to keep your fruit and vegetables crisp and fresh for longer, ready to be used. The reversible door means this fridge can be adapted to suit any kitchen layout. Integrated handles help to make this process quick and easy, with only the hinge to move. Adjustable feet help you to raise the fridge to match the height of your kitchen units. A bright internal light helps you to see and find your items in less time, reducing the length of time you need to keep the door open. Auto defrost keeps your fridge running smoothly for longer, taking away any need to manually defrost it yourself.